A Family Fishing Clinic is an introductory class to fishing and will teach skills on how to tie fishing knots, how to rig a rod and reel, casting, and the best part is everyone will get to try their hand at fishing. All ages are welcome, so come out and play, enjoy the outdoors and make this a Family Fun Day! 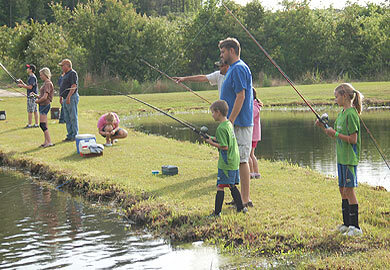 Fishing Rodeos events are designed to provide youth with opportunities to catch fish. Come out and visit a fishing rodeo near you!